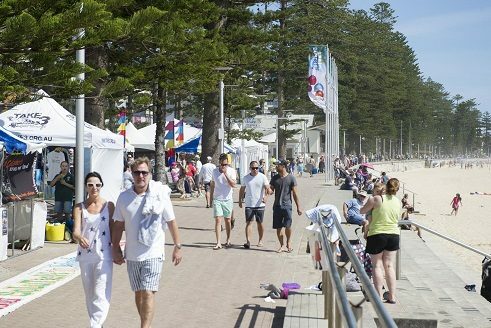 On Australia’s iconic Manly beach, volunteer divers are working quietly and without fanfare to clean the ocean. There was a specific moment when Dave Thomas realised he had to devote himself to cleaning up the oceans. He had been diving to find fishing hooks and sinkers other fishermen and women had lost on the seabed, and came across a large sinker near a rock. He picked it up, but to his surprise, the sinker pulled back! It was attached to a small fish hiding in the rocks, which had swallowed the hook and was still attached to the sinker. “He looked me in the eye and I just knew,” Dave says. He got the hook out of the fish’s mouth and released it. 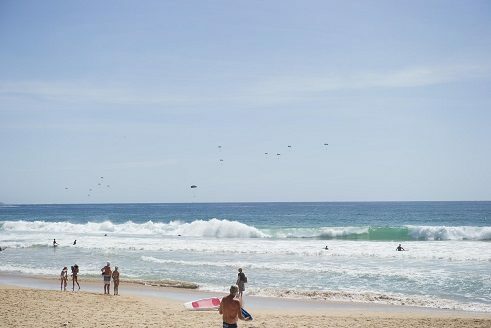 But the act also unleashed a lifetime of dedication to cleaning up the seas. Dave’s big fight is against what might seem very small to many people. 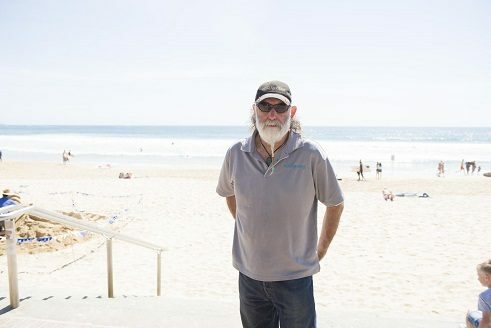 He is battling the incidental, the seemingly innocuous products that are causing harm to the marine environment. 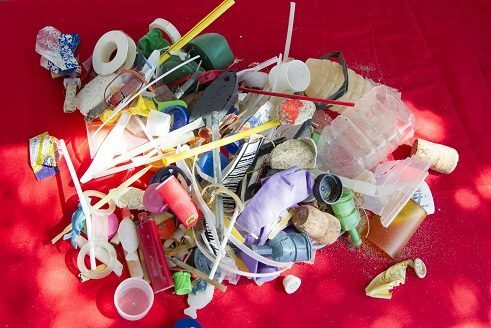 “Fishing debris is a big one, and single-use plastic. That’s basically it, there’s not much else. If you can think about all the things you’ll find in the water, it’s plastic bags, plastic cutlery, balloons, little bits of plastic lighters, all the things around our disposable lifestyle,” he says. 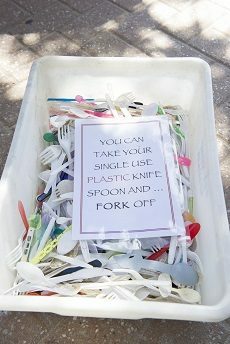 Then there are the ubiquitous take-away coffee cups and lids, and sugar stirrers. Dave urges people to take five minutes, sit down and have a cup of coffee at the coffee shop, without resorting to using take-away cups and lids. Spreading the environmental message is the other key driver for Eco Divers. 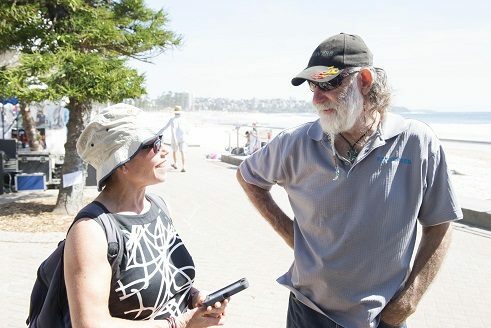 At an Ocean Care Day on the Manly beachfront, Dave and his colleagues, most of whom also dive and help at events as well as with scientific research, set up a small stall and try to engage the passing public in the topic of marine conservation. They have a collection of mystery items in jars for people to ponder and try to guess what they are. One bottle contains thin plastic sticks that look like they’re from the children’s game, Pick-up Sticks. But the items are yet another single-use plastic item. “When fishermen catch lobsters, and they tag them, they trim the tag and toss it over the side,” Dave explains. Apart from initiatives like the information stall, Dave and the other volunteers talk at conferences and schools about environmental issues. And the divers, many of whom are marine scientists themselves, often assist other scientists or academics with their research about pollution of the ocean, for example by conducting experiments underwater. “That quote is from the 1800s and nothing has changed. 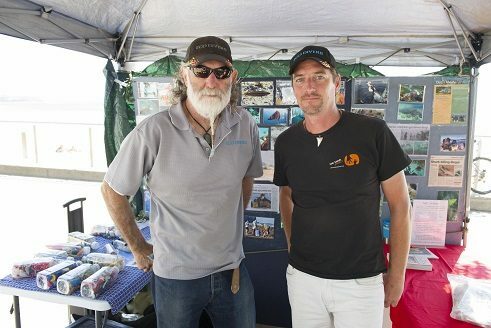 People knew that stuff then and we’ve forgotten it.” Dave Thomas and Eco Divers are working to remind people of that mantra, and to clean up the ocean, one piece of rubbish at a time. But it is a seemingly endless quest, with the small team repeatedly cleaning up the same areas. “I could be here for years and never be able to clean it all up,” Dave shrugs. But the daunting nature of the task is unlikely to shake him from continuing to take these small steps on his very long path.